Resort Credit: Receive up to $1,000 Resort Credit** Use toward room upgrades, spa treatments, special romantic dining, tours and more! This offer is valid for reservations and travel through December 31, 2017. **Booking and travel valid now - 12/31/17. Valid for all room categories. Minimum length of stay is 3 nights. The amount of $1,000.00 USD (One thousand american dollars 00/100 USC's) equals to the discounts given to the Guest that can only be applied on the purchase of different services and products within the resort with the maximum already stated. The amount of $500.00 USD (One thousand american dollars 00/100 USC's) equals to the discounts given to the Guest that can only be applied on the purchase of different services and products within the resort with the maximum already stated. 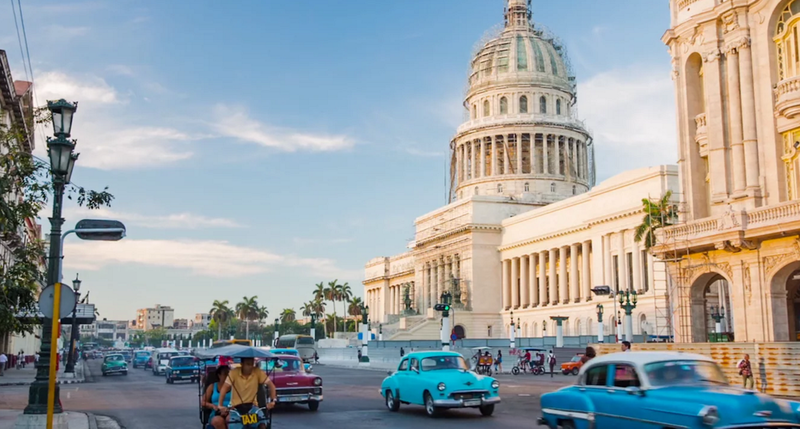 Fathom’s small ship takes you into the heart of Cuba where you become a part of history. Explore local communities and immerse yourself in culture in unconventional ways for longer amounts of time. Make yourself part of the place you visit. Unite with our tribe of travelers and together be a part of something bigger. 7 night Cuba cruises starting at just $1,399pp with sailing dates from November 27, 2016 - May 28, 2017. - Get a 50% reduced deposit. Please contact a Fifth Meridian Travel specialist today to inquire about our unique Farm to Table and Wellness culinary road-trip.